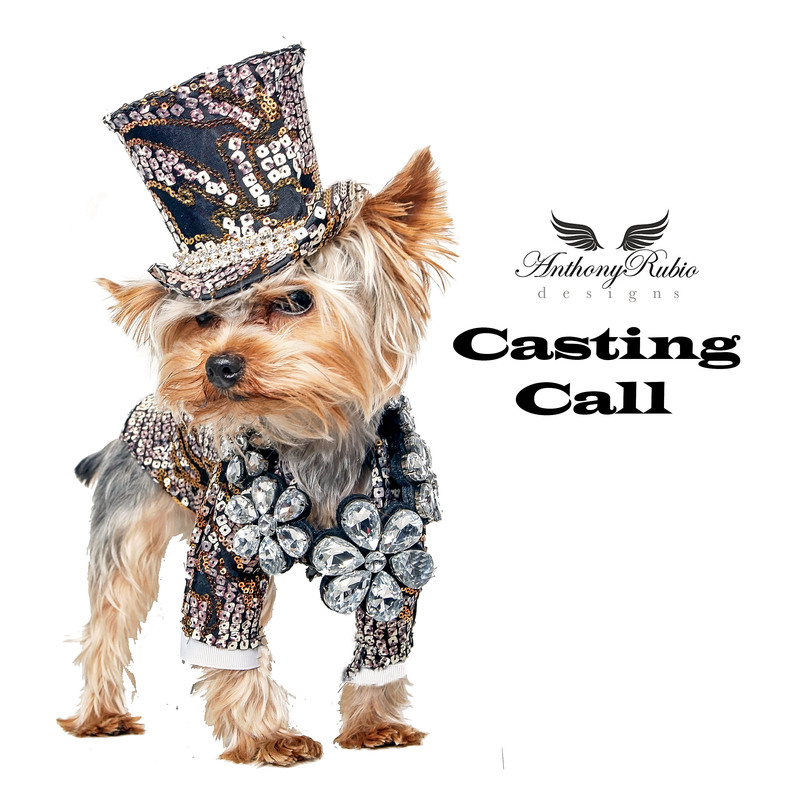 Here’s a special chance to have your dog walk the runway in Anthony Rubio Designs’ New York Fashion Show on Saturday, September 9th, 2017, at 7:00pm. Looking for well behaved dogs that will be walked or carried on the runway. All breeds. Small to Large.